Take in the views at Parke Laurel Apartment Homes. With stunning interiors, resort-inspired amenities, and 17 acres of breathtaking wooded grounds, our community has all the makings of a comfortable home. Each of our one, two, and three bedroom apartments in Laurel, MD, offers a generous floor plan so you can arrange your home as you see fit. The highlight of your new home is the gourmet kitchen. Complete with stainless-steel sinks and a sleek gas cooktop, your kitchen is perfect for preparing casual weeknight meals as well as holiday dinners. Outside your home, you will find our collection of high-end amenities. When the weather warms, cool off at the beautiful outdoor swimming pool. Strengthen and train on the cardio and weightlifting equipment in the modern fitness center. 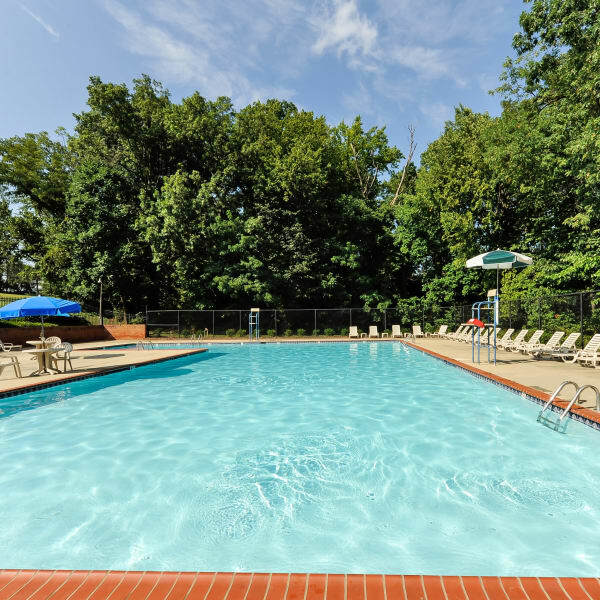 However you like to relax and unwind, you can count on Parke Laurel Apartment Homes to help you live well. Experience the life of your dreams at Parke Laurel Apartment Homes. Call our team today to schedule your tour of our Laurel, Maryland, apartments for rent.